Here, at American University Washington College of Law, we saw an opportunity to invest in and shape the future of law, just as our founding mothers saw an opportunity to create a law school that welcomed women into the legal profession 120 years ago. 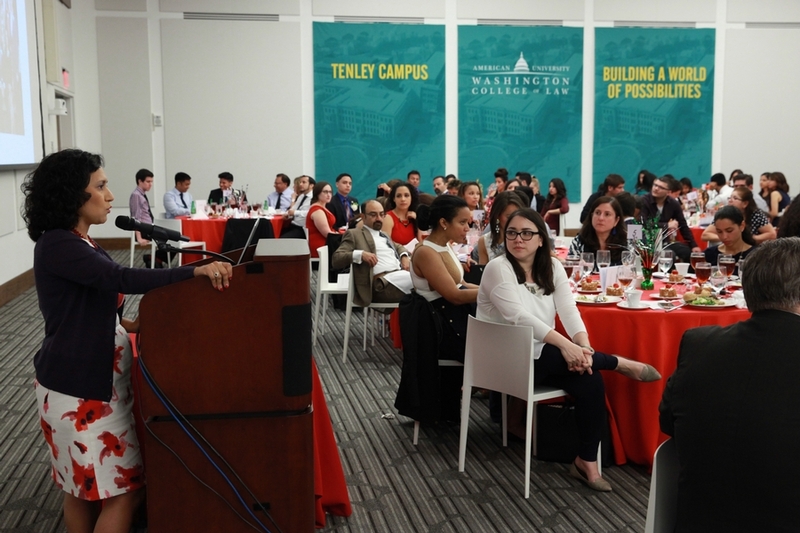 Our new 8 ½ acre Tenley Campus allows us to expand on our core values of equality, diversity, global vision and engagement, intellectual rigor, experiential learning, and a student-centered approach. 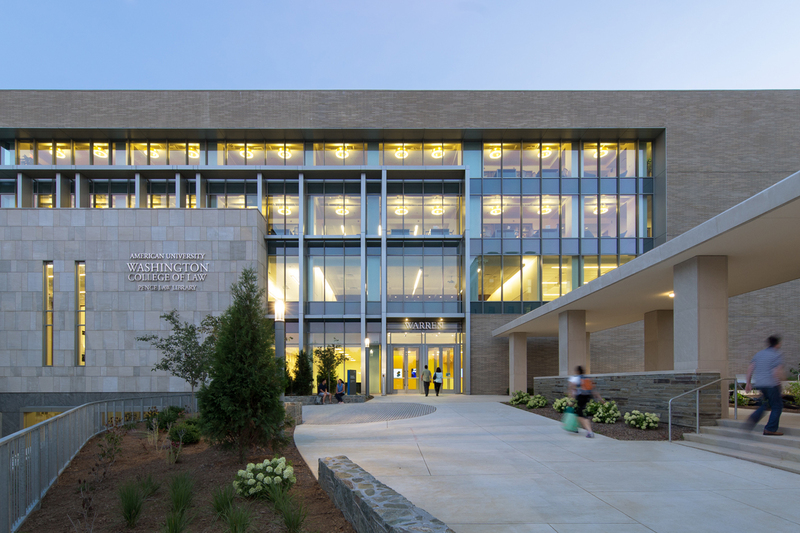 This newly constructed building serves as the research and technology center of the law school. 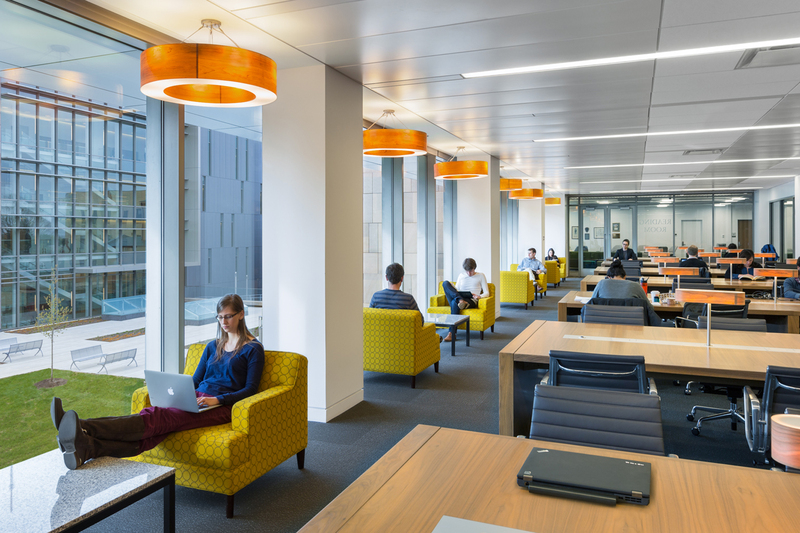 Its anchors include the Pence Law Library, which occupies 2 ½ floors and includes an Alumni Center providing our alumni with research and business resources when they visit. 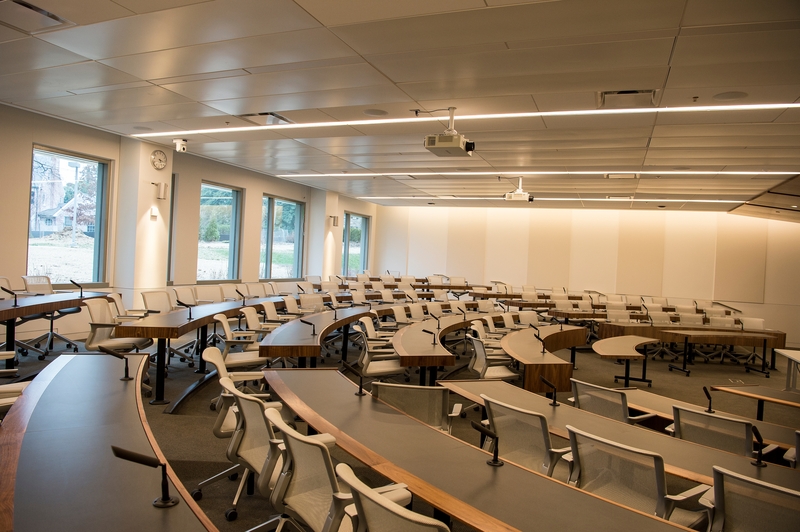 The Warren Building also houses the Office of Information Technology, the grand Ceremonial Courtroom, classrooms of different sizes, and meeting spaces. 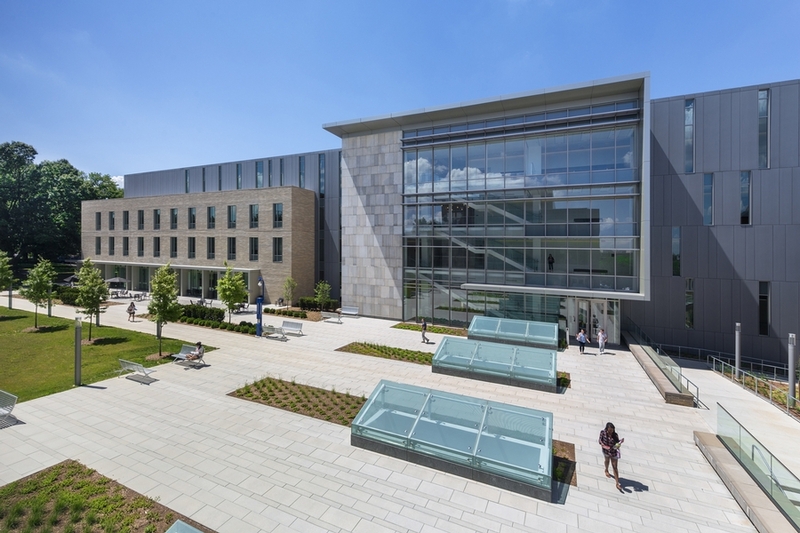 This building is the academic heart of American University Washington College of Law, housing several classrooms, faculty offices, student organizations, our renowned clinic, experiential, and international programs, and subject-specific programs and centers. 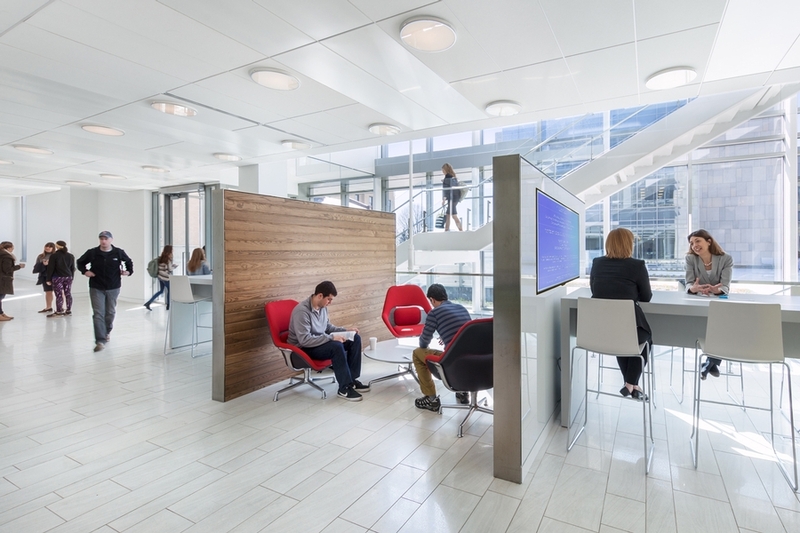 A study of student behaviors, provided the foundation for interior design to support our law school’s student-centered approach and a philosophy of mutual respect and collaboration. 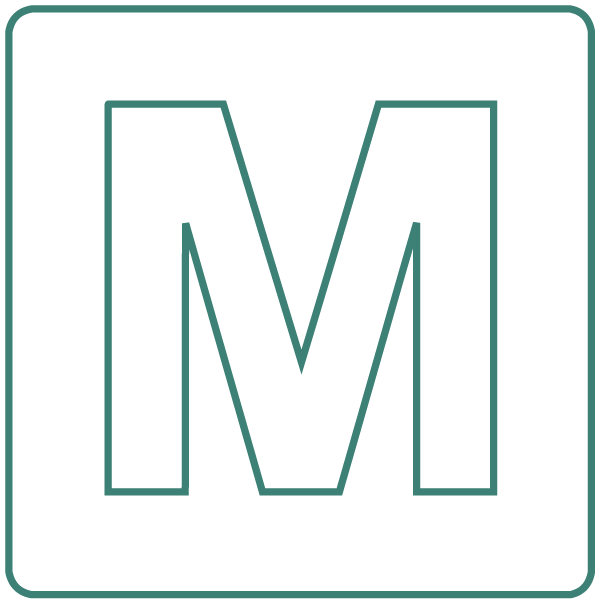 Our campus integrates faculty with students and promotes our open door policy. 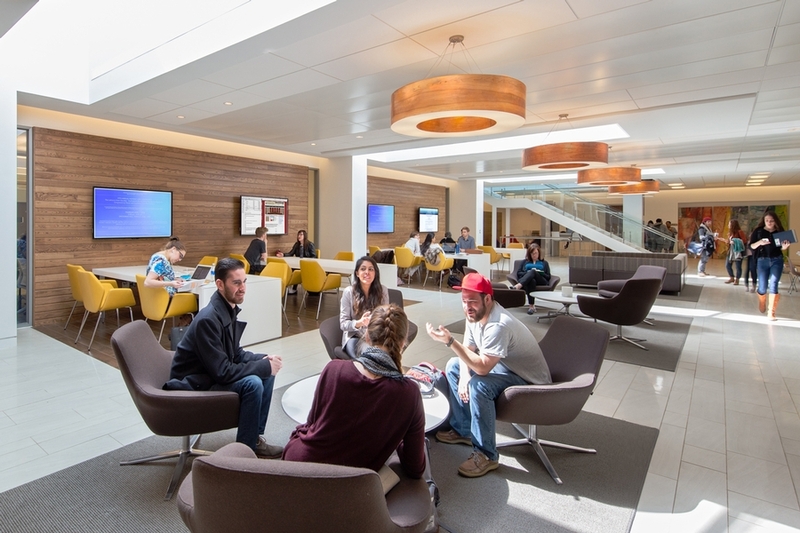 For an informal meeting, study session, or a respite between classes, students, faculty, and guests head to The Commons – a centrally-located passageway connecting the Warren and Yuma Buildings that features collaborative working space complete with lounge and table seating. We anticipate The Commons will be a busy “hub” for the entire law school community. 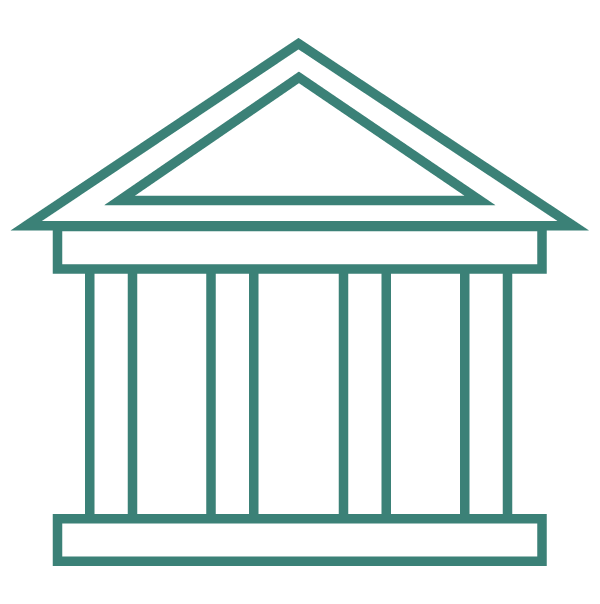 An expanded library that enhances the entire law school experience with study concepts for the 21st century. 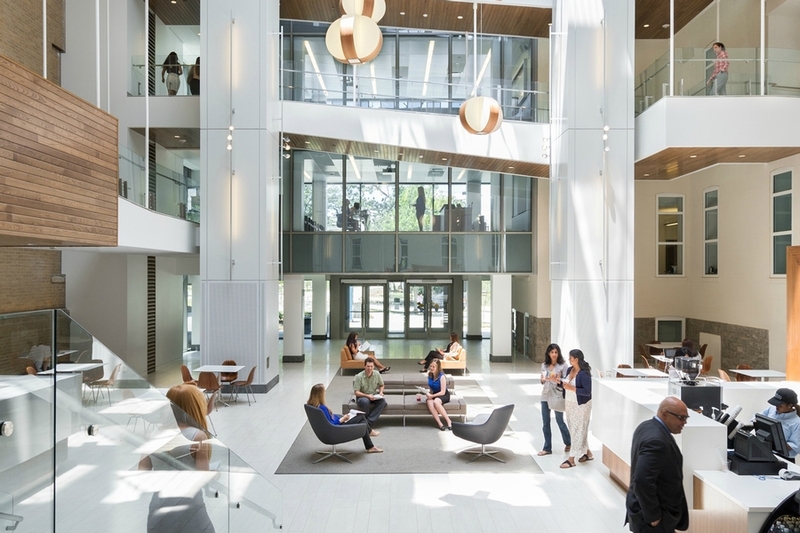 The new campus boasts tech-savvy spaces with active learning centers and shared communications, Wi-Fi access indoors and out and the ability to communicate and connect globally. 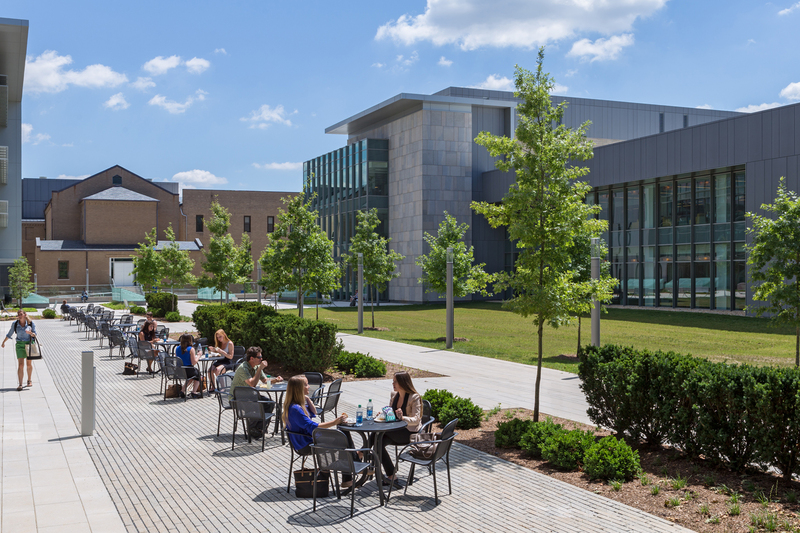 Tenley Campus features 240,000 square feet of green space, providing a scenic atmosphere that includes an outdoor dining area. Targeting LEED Gold certification, the light-filled buildings help to reduce our environmental impact and provide savings. 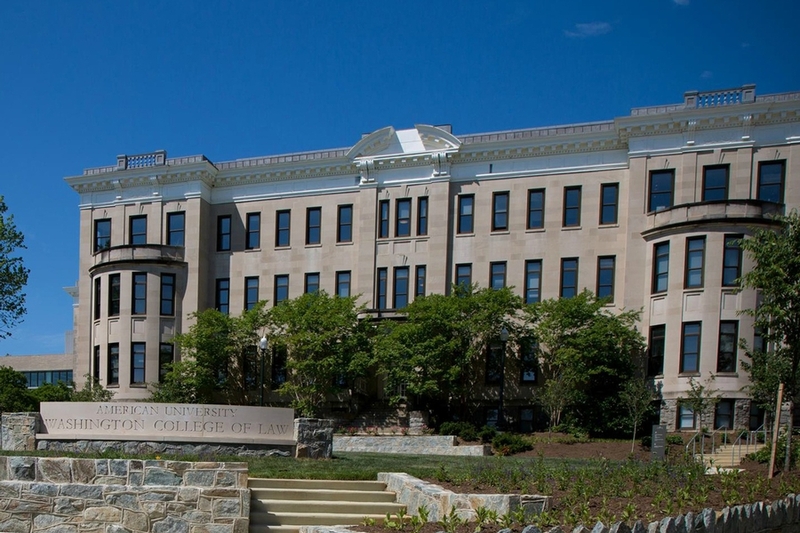 Overlooking Tenley Circle, historic Capital Hall reflects the law school’s proud history and serves as both the administrative and student centers of the law school. It houses the Dean’s Office, Academic Affairs, Admissions, the Office of Career and Professional Development, and Student Services along with expanded space for journals and other student publications. Providing a variety of dining options, the new campus features an Atrium Café located between Capital Hall and Yuma that seats up to 60 people and offers casual grab-and-go food and drinks. 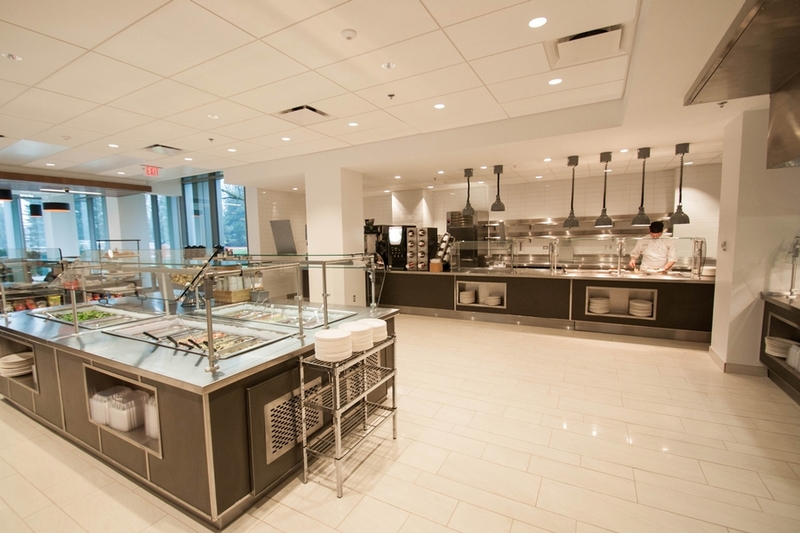 The 223-seat main Dining Hall is located in Yuma and is equipped with a full kitchen. Both the Dining Hall and Atrium Cafe offer outdoor seating. The Tenley Campus features a magnificent stand-alone Courthouse. The Courthouse was converted from the chapel preserved from the former Immaculata Seminary that occupied the Tenley Campus space until the University purchased it from the Sisters of Providence in 1986. 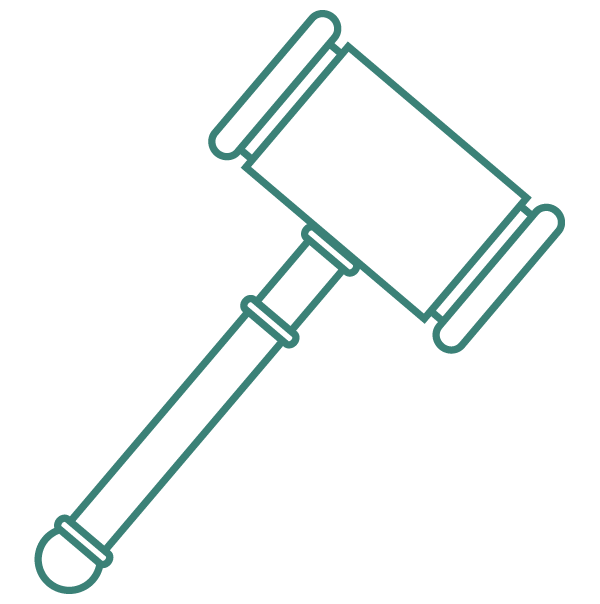 The Courthouse features the Stephen S. Weinstein Courtroom as well as two smaller practice courtrooms on the lower level. 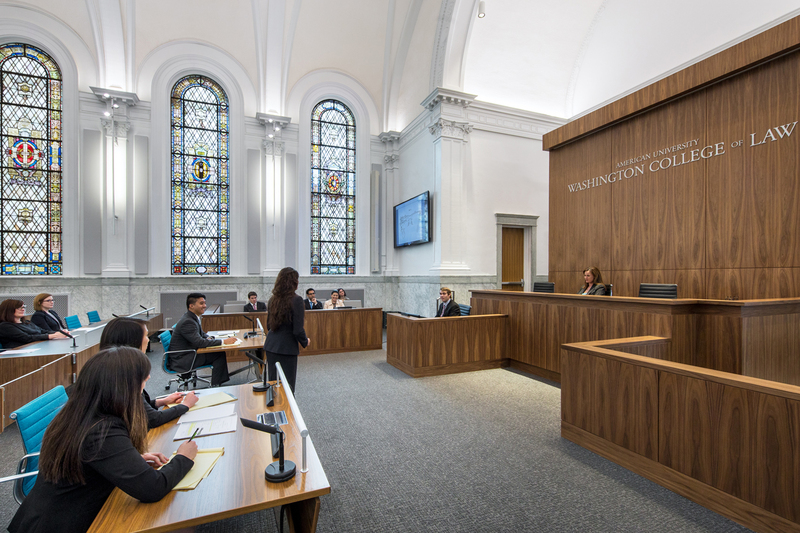 Our flexible conference facility, located in the Yuma Building, accommodates high-profile events large and small and enhances our capacity to bring different communities together to explore the pressing legal issues of the day.